Few bodybuilders have received such a universal recognition as Arnold Schwarzenegger did, since this kind of iconic personalities are seen just once in a generation. His personality, acting career, and overall physique have attracted to the sport all sorts of people, even those who were never interested in bodybuilding. Perhaps, this is one of Arnold’s major merits, as it was easy to get the attention of those already following the sport, but it is much harder to catch the eye of those who are far from bodybuilding. It is not surprising that Arnold was able to achieve this because he had everything that’s needed and even more. 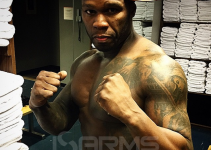 However, his incredible physique was always the source of rumors about his steroid use, which caused vivid discussions both among bodybuilders and the general public. 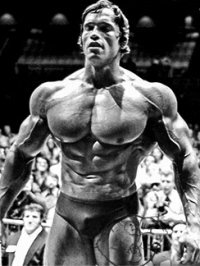 Nowadays, when talking about steroid use by Arnold Schwarzenegger we must keep in mind that back in those times fewer compounds and ancillary drugs were available. One thing is known for sure – Arnold Schwarzenegger did not abuse steroids, and these days even ordinary bodybuilders are using much higher dosages of these drugs. Interestingly, the main steroids used by Arnold were mentioned in the movie Pumping Iron, and these were Primobolan, Deca Durabolin, and Dianabol. As a matter of fact, some further discussions have confirmed that these three compounds were the only ones by Arnold Schwarzenegger. Some may wonder now, why didn’t he use testosterone together with Deca Durabolin. Well, there are two reasons for that. First of all, back in those days bodybuilders did not know that Nandrolone based steroids are extremely suppressive, and relied on tapering (or pyramiding) of the dosages for the recovery of natural testosterone production. Secondly, testosterone was very hard to get in those times, even for such stars as Arnold Schwarzenegger. As we can see, bodybuilders of 1960’s and 70’s considered that the best way of controlling and preventing side effects was the pyramiding, which we now know is completely useless. Neither were they completely aware of the stress inflicted on the liver by such oral steroids as Dianabol, so little attention was given to liver supporting supplements. 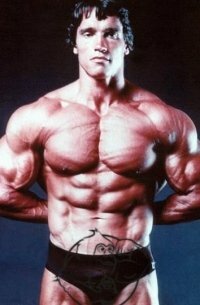 Another thing that may strike some readers, is that just like all the bodybuilders of his time, Arnold did not use anti-estrogens because it was believed that with moderate dosages of steroids estrogen related problems could be avoided. Interestingly, this might be the main reason steroids were not as heavily abused in the golden era of bodybuilding. Then after the bridge the main cycle would be repeated. During the entire cycles, a good liver supporting supplement would be used, since both Dianabol and Anavar are liver toxic. For this purpose the best supplement would be N2Guard. Testosterone enanthate: It is already considered the classic base steroid for any cycle, as it can truly enhance the effects of the other steroids in the stack, and even alleviate the side effects of some steroids (such as Deca Durabolin). Deca Durabolin: This nandrolone based steroid is a very well known bulking steroid that gives some very prominent mass gains to the user. Dianabol: It is the most widely used steroid for kick-starting cycles with slower acting steroids. However, due to its wet nature, it is rarely used in cutting cycles. Anavar: This is a good alternative to Dianabol in the role of a kick-starter during a cutting cycle, where it will give very lean gains, and will render a good performance boost very fast. Primobolan: Although it is not very effective on its own, primobolan is one of the best stacking agents, as it will add quality to the mass gains without any side effects. In fact, it is considered to be one of the safest steroids out there. Trenbolone Enanthate: This steroid was not very popular back in the day due to its extremely harsh nature. However, we now have all the ancillaries needed to combat its side effects, so it is a very good nandrolone based replacement for Deca Durabolin during cutting cycles, where it will help achieve incredible definition and lean mass gains. Aromasin: It is the best aromatase inhibitor available (AI). Since it is a suicide AI, there is no danger of getting an estrogen rebound once the compound is discontinued. Besides, unlike the popular Arimidex, which can cause lipid strain, aromasin actually improves cholesterol levels. 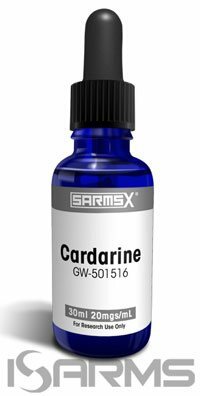 Cardarine GW-501516 – This PPAR modulator Cardarine GW, most frequently associated with SARMs (selective androgen receptor modulator), has the unique ability of combating trenbolone’s side effects, allowing to improve the cycle effectiveness by enhancing cardio performance, endurance, and recovery. Additionally, it will burn fat and add a little bit of lean mass without any side effects whatsoever.